The new Midland County Jail has an operating capacity of 250 inmates, but actually has nearly 300 beds. 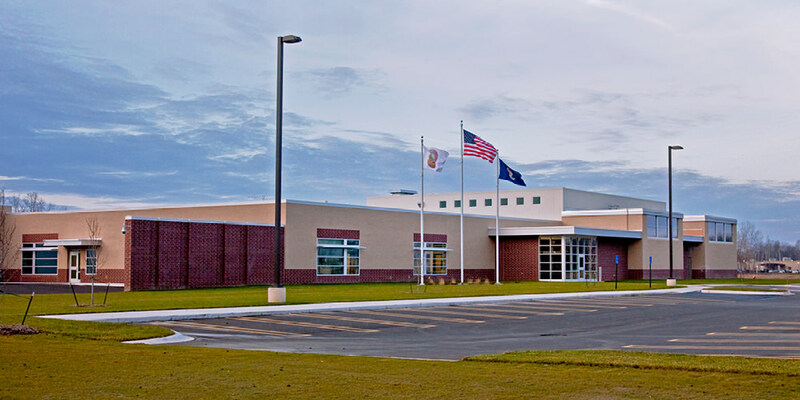 Given the anticipated growth of the Midland region, the new jail also has expansion capabilities for up to 400 inmates. The jail incorporates eight levels of security management and offers both direct and indirect supervision of inmates. The Project Team took advantage of bid day pricing to allow upgrades in several areas including a brick exterior and a vertical Geothermal Heat Pump System to reduce reliance on fossil fuels and lower energy costs. Burnished and stained polished concrete floors provided the look and durability of Terrazzo at about one-tenth the cost.